We are still officially on break, but that hasn't stopped us from education this week. It does mean we haven't felt the need or pressure to complete book work, however we haven't avoided learning situations. Amber actually is getting tired of her loose schedule and needs things to do while not being quite ready for school yet. Amber has done quite a bit of sleeping and resting. Her heart rate is back to her normal high levels instead of the scary high levels from the end of December. Resting heart rate is back down to 90's - low 100's. We learned that she definitely can't become exhausted. Nope. No busy weeks here any more. 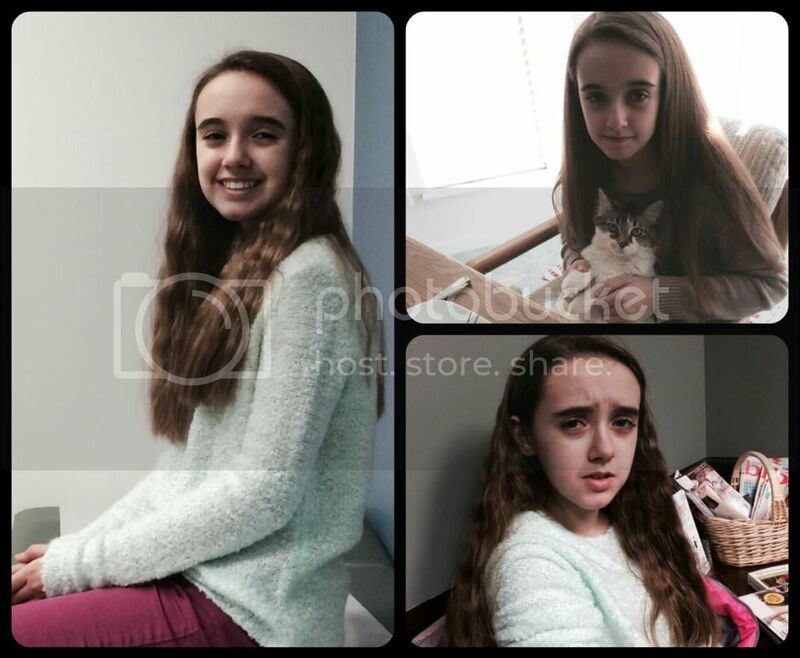 Monday Amber started back with a GI doctor appointment complete with an abdominal X-ray. At the risk of sharing too much, her stomach feels full most of the time and she can't eat much in one sitting. We're talking 3-4 bites before its all over. Then on an occasional day she can eat like normal. This has been getting worse for a couple of months now. The GI doctor is concerned because the suspected AAG can cause gastric emptying problems. Multiple doctors' appointments in one day... and the requisite adorable kitty picture. The X-ray confirmed there was no backup or blockage, which could have been the problem since she has such poor motility and takes daily miralax. So now Amber has a gastric emptying scan scheduled for today. Originally the GI doctor wanted to do another barium swallow test, but that was the most dreaded and awful test that Amber has done. She preferred the tilt table test, where she nearly passed out and ended up with a severe tachycardia episode. During Amber's one and only barium swallow in 2013, I promised her no more tests like (assuming I can actually make that promise). The GI doctor was sympathetic and switched tests. Amber now just eats radioactive scrambled eggs and toast (that we provide so it doesn't trigger a reaction). It's a long test though, with a four hour minium length. Hopefully if it is a positive there will be medication to help. We really just need the g-AChR test results. Now. Please. Pretty please. We'd like to move on with treatment, or the next test looking for the root condition. 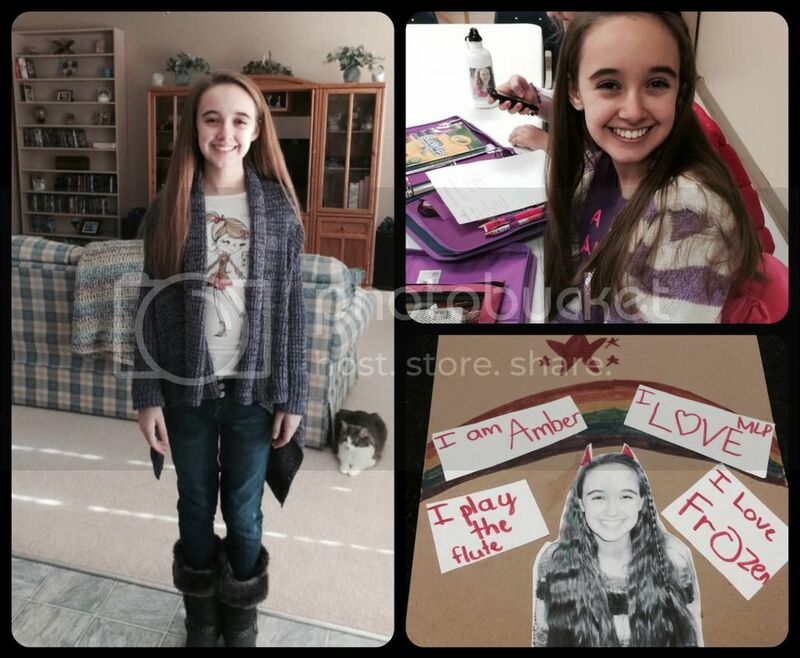 Amber also started back to flute lessons this week after two weeks off because of scheduling. Lessons aren't normally canceled for Christmas break, but Amber's were on Christmas Eve and New Year's Eve when the place isn't even open. We weren't upset by the break as Amber was exhausted and didn't have the energy for flute. Confirmation classes at church resumed this week as well as Homeschool co-op classes, much to Amber's excitement. We are so thankful that our church organizes confirmation in modules. The schedule calls for four weeks of weekly evening classes, then approximately six weeks off with homework before the next module. Even though it is just one evening, those four week modules are tiring for Amber because there is weekly memory work too. This is still so much better than weekly classes with memory work for a semester at a time. While she has seen many of her friends over break, she thrives on the social aspect of the co-op classes. She still has Bible study and drama, but her chess class was only a semester. To replace chess Amber is now taking Photography Art. We even bought her a cute red camera just for the class. She absolutely loved the first day of photo art and it has the added bonus that *almost* all of her close friends signed up for it. 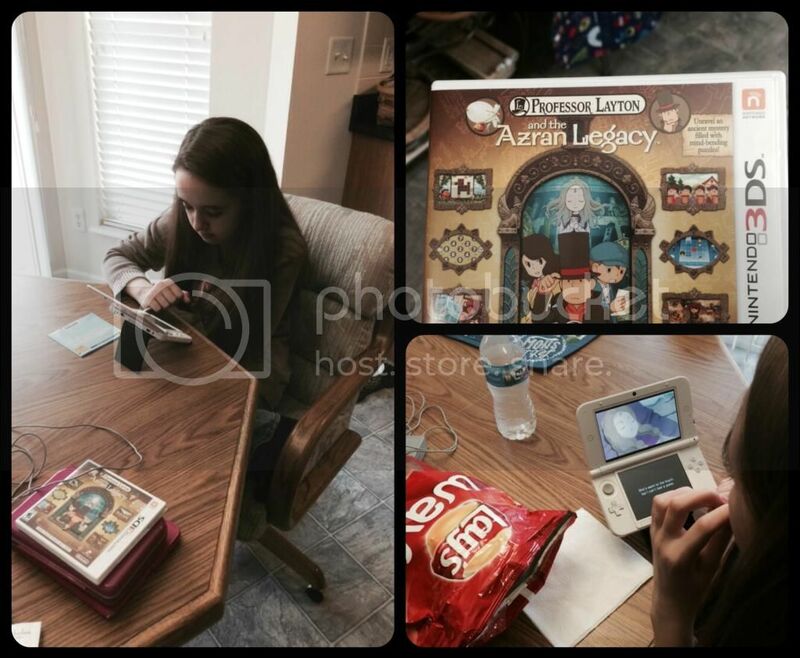 On a whim this past week I bought Amber a few new games for her 3DS from the Professor Layton series. These are mostly brain teaser / logic puzzles. Amber adores these games and has spent hours playing. They are nearly identical to the type of work she did in her logic curriculum last year, so I've been counting her game time as school logic hours. It took Amber a couple of days to figure it out, but she finally realized that she was doing school work during her break and she was thrilled to get hours in such an entertaining way. Amber's 13th birthday is Monday and we have plans for a pretty calm weekend before the big birthday and party week. We've already canceled out of a teen group game night so that Amber can rest. I'm so thankful that Amber's friends are understanding of her needs. It's hard to explain a condition that we really don't understand ourselves. I do have to say that she has some pretty wonderful friends. Not a single one has been difficult or "dropped" Amber because she can't do everything the other girls can do. In fact, every time I turn around there's a new friend from co-op wanting Amber to be at her party or event. It's hard to select which ones Amber attends, but it's heart warming to know there are still some truly good young people out there. I hope everyone stays warm this weekend, and if you started back to school already that your week went smoothly. Ah Christy, continue to raise you up and Amber....your strength is unmatchable. I love the photo picture and quotes from Amber's class! I hope you can get the tests she needs asap! Enjoy your weekend and peace to you. I'm thankful Amber has such a nice circle of friends- I know that makes things easier for both of you! Continuing to pray for Amber and for ANSWERS. Happy New Year, Christy! We are praying that the test results come in real soon. You all need some answers. Learning never stops, does it? I'm glad she and your family have had some "down time", to rest. Happy belated birthday to Amber! I did a Barium test back when I was a teen and I still remember it. It was by far the worst test I ever did. Radioactive Eggs and Toast sound much better although for some reason it immediately made me think of Dr Seuss and Green Eggs and Ham. As always everyone is in our prayers. My 14 yo son had that nuclear med test at Boston Children's. Easypeasy compared to other testing. Hope you get the results quickly. Poor Amber. Taking all those tests must be tiring in and of themselves! I do hope there are no more new issues going on and that you finally get the g-AChR test results very soon. Tell Amber Happy Birthday for me! I probably mentioned this last year, but Monday is my Rebekah's birthday also. Having friends that stick by you "in sickness and in health" are true friends indeed and such a blessing! Happy birthday Amber, I hope you have a day dreams are made of!